Jenna Clark, left, pets her family's pit bull, Buster, with a friend. 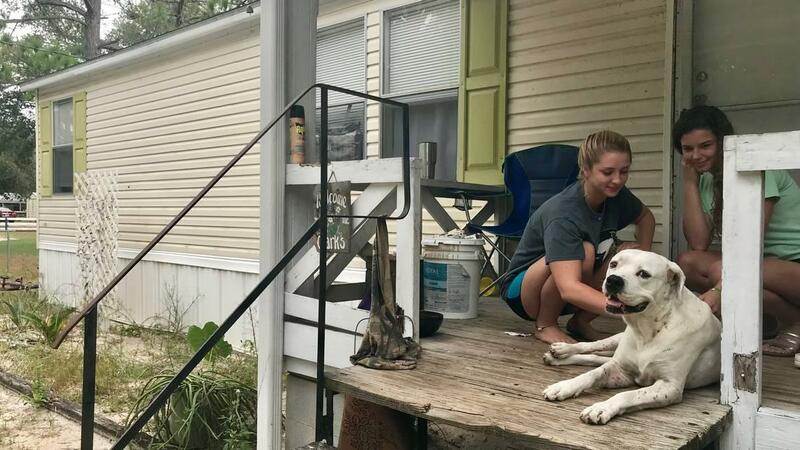 Clark, 18, said her family will stay in their mobile home in Panacea during Hurricane Michael. 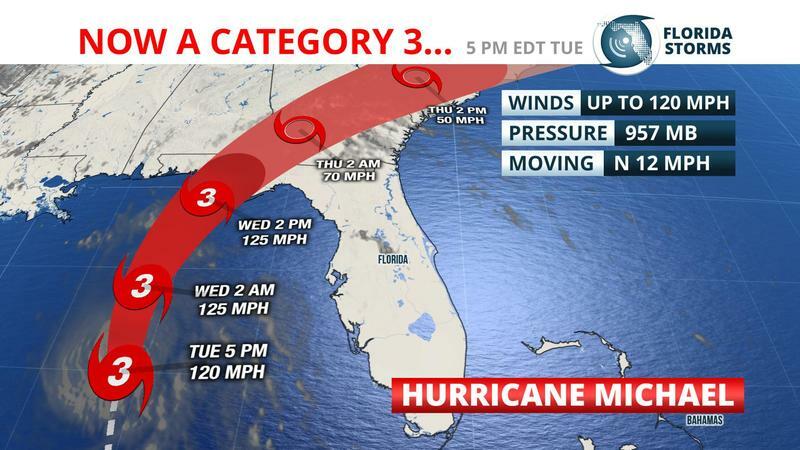 Mandatory evacuation orders were in full effect for coastal areas like Panacea in Wakulla County. In total, 13 Florida counties issued mandatory evacuations, some applying to the entire county while others were only for areas most vulnerable to the storm surge.